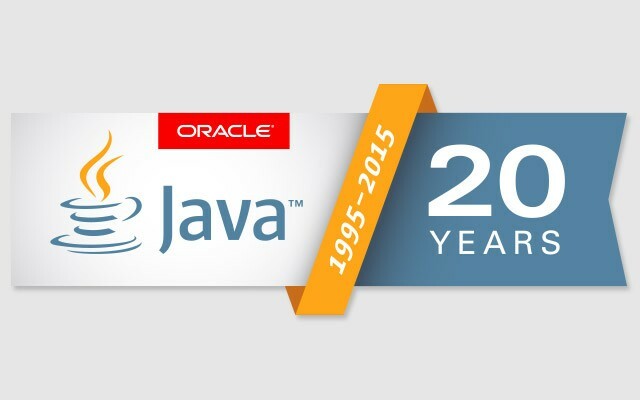 Happy Birthday Java! 20 Years old! The keynote started with a brief history of Java (the 20th Anniversary was a common theme), and a video of James Gosling from 1995 showing off a device. Intel talked about how they had been working to improve Java. Last year they joined OpenJDK, and this year has seen lot of code submissions to OpenJDK and they now have Java running on all their chips (low end to server). Some good improvements in Maths. They had a short video showing how an 8th grader had created a revolutionary new braille printer for blind people using Intel chips, Java and lego. Its been a long road getting from there to here. There was a short demo by Oracle on running Java software on the cloud which is a simple case of build, zip, deploy. Mark showed how classpath could create a very messy situation. The Java solution to both problems is Modules, which allow users to create additional metadata which defines dependencies and also which public methods are exported. Like generics, it will take time to be fully adopted so it can be adopted incrementally. It will also allow the JDK to become more modular. Project Panama offers a much more sophisticated and elegant way to access native code than JINI. The JavaME session reminded us that there will be 25 billion IoT devices by 2020 and JavaME is focussed on this area. There was a video showing JavaME running on some small devices. JavaME can update dynamically without need for firmware upgrades and JavaME is being heavily developed by Oracle. The JavaEE talks included speakers from RedHat, IBM and Oracle talking about the JavaEE 7 updates in their application servers. Developers from Rakuten came on stage to talk about their use of JavaEE. The key note finished with a great surprise. There was a video of Scott McNealy, talking about the history of Java, how he had hired James Gosling and his top 10 challenges today. If you want more information on JavaOne 2015 and further coverage of the entire event check out our JavaOne Series Index, which covers everything that is happening and is constantly updated, keep checking back for new info! « Want to know what it is like to be at JavaOne 2015?